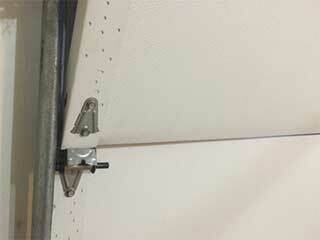 There are a lot of factors involved in making sure that your garage door works perfectly well. In other words, there are a number of things that could go wrong and disrupt the movement of the door. As a homeowner who has bought or will buy an automated garage door in the near future, it is imperative for you to be aware of the most common malfunctions so that you can call a repair technician to solve the problem as soon as possible. When the temperature sinks low, your door may start exhibiting a number of flaws. For instance, you could notice a slight or major delay in its opening or closing action. In certain cases, it may not open at all, leaving you stranded inside or outside of your house. The reason why these problems occur is because metal components contract when the temperature decreases. This change in the dimensions of the inner parts hampers the working mechanism and makes it difficult for the proper movement to take place. The battery of your opener is also affected by the drop in temperature. As it gets colder, it becomes harder for the battery to sustain it's capacity as well as it normally could. This is a very common problem homeowners can come to experience from time to time. If the limit switch nut fails to hit the limit switch at the designated time, then your garage door is likely to stop at the wrong place. At first, it may seem like a problem that can never be fixed. However, a professional technician can easily repair the issue and restore your door's designated stop position. This can be a potentially risky situation for a homeowner. If your door stops reacting halfway through its movement, then you are basically left in a position where your residence is vulnerable to a major breach of security. Even the best garage doors in the world can at times experience a similar problem. This issue can be caused by a number of things. For instance, if the ground fault interrupter is tripping, then it is likely that the door will not move at all. This is because the opener's circuit board falsely recognizes a problem and cuts the power. Whatever the cause of the problem is, our experts at Garage Door Repair Miami can take care of it for you. Call us today.